Oh, the siren song of the Oscar nomination! I must admit that the prized Best Picture nomination often lures me to films I otherwise would skip. The 1998 nominees became no exception. When the list came out in mid-February 1999, I'd already seen Saving Private Ryan and The Thin Red Line. Prior to their Oscar nominations, I’d not found a compelling reason to see the other three Best Picture contenders: Life Is Beautiful, eventual winner Shakespeare In Love and Elizabeth. Eventually I saw all five of the nominated films, though Life Is Beautiful waited until it hit DVD. I headed to the theater for both Shakespeare and Elizabeth, and found myself quite impressed by the latter. Set in the mid-16th century, Queen Mary (Kathy Burke) dies and her half-sister Elizabeth (Cate Blanchett) ascends to the throne. She takes over an England with all sorts of financial and social problems. In addition, Elizabeth deals with threats to her sovereignty. Others conspire against her and attempt to thwart her reign. We follow all the concerns with which Elizabeth deals. I admit I have an almost pathological dread of little art-house movies; their abundant pretensions frequently drive me up the wall. But that didn't happen with Elizabeth, a surprisingly down to earth effort. Oh, it offers its fair share of overtly "arty" techniques. Director Shekhar Kapur seems inordinately fond of dramatic overhead "top down" shots and of various funky lens filters, but overall, the film comes across as a well-told rendition of a gripping story. One mistake I made before I saw the film was to assume that it would be some touchy-feely "chick flick." Nothing could be farther from the truth. I later heard Elizabeth compared to The Godfather, and that analogy makes a lot of sense. Both are fairly violent and both depict the ruthlessness that is required to remain in power. As depicted here, Queen Elizabeth seems a lot like Michael Corleone. Both appear reluctant to become fully involved in the "family business," as it were, and both also seek to maintain a private life outside of that world. By the end of the film, Elizabeth has become fully enmeshed in that lifestyle and is really a different person, just as happened to Michael. I don't think Elizabeth approaches the high standards set by The Godfather, but it's nonetheless a fine film. On second viewing, Kapur's more flamboyant techniques seem much less noticeable and I could better appreciate how the camera work accentuates the story. Kapur moves the story along at a crisp pace and he maintains a nice balance between the romantic side of Elizabeth’s life and her struggles with power. Blanchett’s terrific lead performance acts as a key to the success of Elizabeth. I have nothing against Gwyneth Paltrow - she never received the acclaim she deserved for her phenomenal work in Se7en - but Oscar robbed Cate. Blanchett does a remarkable job as she portrays several different layers of personality in Elizabeth all at once and without any appearance of overt "acting" effort. This never becomes a showy performance, as instead, it seems real and grounded. Blanchett could have easily pulled off Paltrow's role in Shakespeare In Love, but the reverse would not be true. Without a strong actress as Elizabeth, this movie would have tanked. I can't say that Blanchett carries the film - it has enough strengths on its own - but she certainly makes it a much greater success than it otherwise could have been. The supporting actors generally offer solid performances, although none rival Blanchett. That's probably a good thing because she should remain the focus, and had another actor's work diminished hers, the film would have suffered. While most of the supporting cast do well, probably the best of the bunch are Christopher Eccleston, who brings a subtle overtone of menace to his role as the Duke of Norfolk, and Geoffrey Rush, who quietly insinuates himself into a position of power as Sir Francis Walsingham. In regard to the acting, I feel that only two performers don’t live up to the standard of the rest. Joseph Fiennes seems wholly unable to capture any subtlety in his role as Elizabeth's lover, Robert Dudley. He just appears to be a one-dimensional pretty boy to me, so any attempts he makes to come across as anything other than a trophy boy-toy ring hollow. I also don't much care for the flamboyant excesses of Vincent Cassel as Duc D'Anjou. In this case, however, I lay most of the blame on the director; I have the feeling that Kapur probably egged on Cassel to be so over the top. For all I know, Cassel's performance may be historically accurate, and I must admit that it achieves its goal of demonstrating the ludicrous extremes toward which her advisors pushed Elizabeth to marry. However, I feel that the scenes with Cassel just seem like self-conscious attempts at comic relief, which means his character feels like he belongs in a different movie. The second time I watched Elizabeth, I was interested to note how little time Cassel actually spends on screen. His character so disrupts the flow of the film that I thought I’d seen much more of him. Despite these misfires, Elizabeth succeeds well overall. It takes potentially stuffy historical matter and brings it to life in a vivid, exciting manner. Elizabeth appears in an aspect ratio of approximately 1.85:1 on this Blu-Ray Disc. This was an inconsistent – and often unsatisfying – transfer. Sharpness was one of the issues, as significant parts of the movie seemed mushy. The presence of obvious edge haloes caused some of this softness, and the film also could look a bit blocky at times. Much of the flick showed adequate definition, but it rarely boasted sharpness that seemed better than simply pretty good. No issues with jagged edges popped up, but I saw some light shimmering at times; none of those instances were major, but they occurred. Source flaws were also fairly insignificant. I noticed a few small specks but no prominent defects. Colors acted as a strength, though they also were inconsistent. Some scenes boasted vivacious hues, but others tended to be a bit ruddy and flat. Still, colors were the best aspect of the transfer; though up and down, they had some nice moments. Blacks were reasonably dark and tight, but shadows were hit or miss; more than a few low-light shots seemed somewhat mushy. Ultimately, Elizabeth provided a watchable image, but too much of the time, it lacked the sparkle of Blu-ray, so a lot of it just looked like a really good DVD. The DTS-HD MA 5.1 sound mix of Elizabeth offered a surprisingly robust sonic experience. Another of my art-house assumptions was that this film's soundtrack would not be up to snuff with the fare meant for a more "widespread" audience. Again, I was wrong. No, it's not Twister, but Elizabeth made fine use of the various channels through the reproduction of music and a surprisingly high number of ambient effects. Scenes with thunder, fireworks and battle boasted nice involvement of the different speakers and made this an involving soundfield. Audio quality was strong. Speech consistently appeared natural and concise, without edginess or other issues. Music was lush and vivid, while effects demonstrated positive clarity and range, so bass response seemed deep and full. The track lacked the constant oomph to enter “A” territory, but it ended up as a solid “B+”. 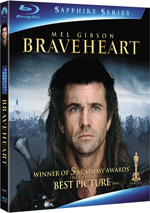 How did the Blu-Ray compare with the original 1999 DVD? Unfortunately, I was unable to directly compare the two. I thought the DVD looked great in 1999, but I’d be shocked if the Blu-ray didn’t offer superior visuals. Even with its drawbacks, the picture seems likely to easily surpass the standards of a DVD from 1999. Audio is probably more similar, though I’d expect the lossless DTS-HD mix offered better kick and precision. Most of the DVD’s extras repeat here, and we open with an audio commentary from director Shekhar Kapur. He offers a running, screen-specific look at what led him to the project, story and script areas, cinematography, cast and performances, editing, themes and symbolism, sets and locations, and some history. Though the track occasionally sags, Kapur usually makes it move pretty well. He delivers a lot of information and seems honest about his film; he even happily acknowledges elements he lifted from other movies. Despite the slow spots, this becomes a good commentary. 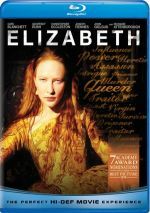 A documentary entitled The Making of Elizabeth runs 24 minutes, 54 seconds and provides notes from Kapur, writer Michael Hirst, producers Tim Bevan and Alison Owen, and actors Cate Blanchett, Geoffrey Rush, Christopher Eccleston, and Joseph Fiennes. The show looks at story/character elements and the script, cast and performances, sets and locations, and Kapur’s take on the material. With almost 25 minutes at its disposal, one might expect a good film overview from “Making”. One won’t find such a show, however, as “Making” concentrates more on movie clips than anything else. “Making” comes with an absurd amount of this footage, so when we get speakers, they tend to offer bland info. A few minor notes emerge – mostly from Hirst – but this is an inefficient program that lacks much good material. Finally, we get a featurette simply called Elizabeth. It goes for six minutes, four seconds and offers statements from Kapur, Blanchett, Fiennes, Rush, Eccleston, and actor Sir Richard Attenborough. This acts as a long trailer; the participants tell us about story and characters but little else. That makes it essentially a waste of time. The Blu-ray loses a few extras from the DVD. It drops a photo gallery, some text elements, and trailers. Though I expected a dull history lesson, Elizabeth brought home a pretty vivid tale. It delivered an engrossing experience capped with strong acting. The Blu-ray offers very good audio and an interesting commentary, but picture quality seems inconsistent and somewhat weak. I like the movie and parts of this release, but the visual problems make it hard to endorse this Blu-ray.